Jizya is a tax that the subjugated “People of the Book” must pay to the Muslims for the privilege of being allowed to practice their religions, albeit within a superstructure of institutionalized discrimination and harassment: “Fight those who believe not in Allah nor the Last Day, nor hold that forbidden which hath been forbidden by Allah and His Messenger, nor acknowledge the religion of Truth, even if they are of the People of the Book, until they pay the jizya with willing submission, and feel themselves subdued” (Qur’an 9:29). The Kurdistan Regional Government (KRG) has imposed a discriminatory new regulation requiring all business owners from the Assyrian-majority city of Ankawa, located in the Erbil Province, to renew their business licenses with the Director of the Erbil Center District for a fee. 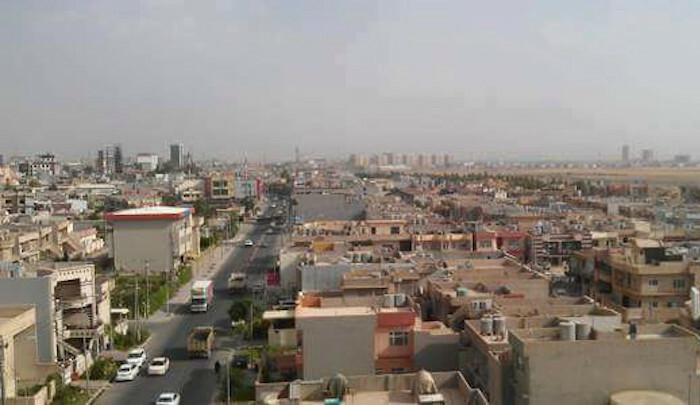 This new regulation applies exclusively to Ankawa, despite the fact that a total of ten districts are under the Erbil Center District’s jurisdiction.